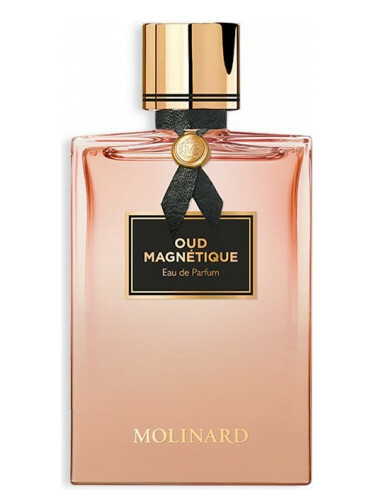 Thread: NEW: Molinard - Oud Magnetique! Oud Magnetique by Molinard is a Woody fragrance for women and men. This is a new fragrance. Oud Magnetique was launched in 2017. Base notes are agarwood (oud), vetiver, leather and amber. Re: NEW: Molinard - Oud Magnetique! Hi Hednic, what are your thoughts on that one? What does it remind you of? I very much like it but haven't worn it for quite a while. It reminds me a little of Mysterious Oud by Chabaud but the Molinard is woodier and less sweet than the Chabaud. How do you like it if you have already tried it? I'd be interested in knowing. Thank you for your thoughts on this one. To be honest I haven't tried it, nor the Chabaud. And I doubt there is a chance for me to find them in any dept stores. I may go for a blind buy at this point... Just a question: There is rose in it: does it lean feminine? I'm on for a good oud/rose fragrance, but not an rose/oud. I can only speak for how it plays to me and it doesn't lean feminine to me. Nevertheless, I can see that as a judgement call and you'll need to judge that for yourself. Sure. Your inputs were very helpful, thank you! New from The Different Company - Nuit Magnetique!